Ash and Camilla were up tonight for their instant restaurant, the fourth team to host the other contestants for My Kitchen Rules 2015. Their restaurant was called Dans La Mason. The contestants were very confident. Ash commented in the car that she was “so confident I could wet my pants”. When they were at the shops, the two were going to buy fish stock for their Bouillabaisse but decided to make their own. When they got back home. Ash started with the Ice cream and Camilla started with the fish stock. 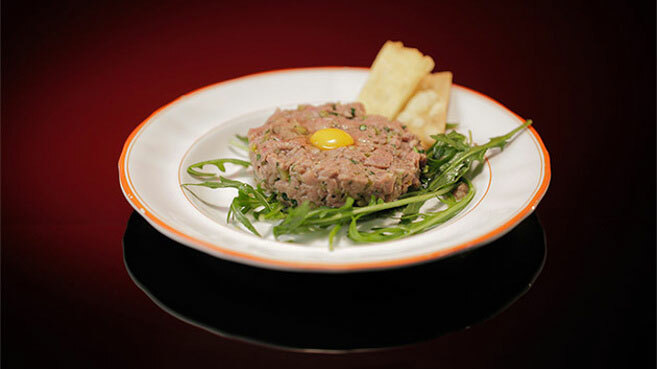 For Entree, Ash and Camilla made Steak Tartare with Quail Egg and Crostoli. While they were plating up. The Steak Tartare starting discolouring. They hoped the judges didn’t notice. The first to comment on the dish was Pete. He said when it was done well, its his favorite dish. He said this was close, but there were some flaws. He said you’re not supposed to put the egg white of the quail egg on it. It wasn’t the best he had but not bad. Manu said it was quite risky to serve him steak tartare. Manu said he enjoyed it, but prefers his recipe. It was not a typical french steak tartare and the lemon juice they added cooked the meat a little. Gina and Anna said it looked disgusting. Some of the other contestants didn’t want to eat it. Not many of the contestants liked it, there were a few who thought it was magnificent. 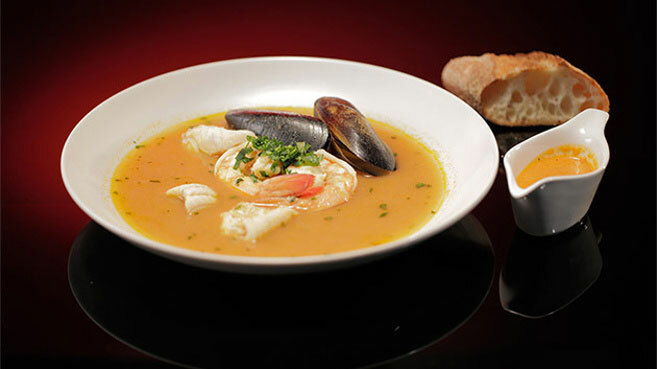 For Main, the team made Bouillabaisse with Rouille and Baguette. Ash and Camilla had a few issues with this dish. Ash put orange rind in the soup but put too much in. They fixed it by adding more seasoning and tomato. They had to get the dish out to the guests quickly to stop the seafood from cooking too much. Manu was the first to comment, he said it was “definitely not Bouillabaisse”, then followed with “but i loved it”. He also said it was not a rouille, but it was beautiful. Pete also loved it. 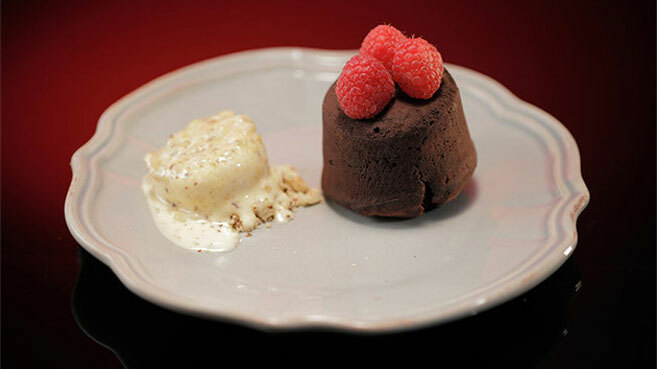 Finally, for dessert, Ash and Camilla made Fondant au Chocolat with Hazelnut Ice-Cream. They are nervously waiting in the kitchen for it to cook, at first check they are still cold in the centre. They serve their dessert to the judges but the fondant wasn’t runny and Manu said there was a problem with their technique. Pete says that his was overcooked and quite dry on the outside. He would have loved to have seen more ice-cream and it was his least favourite dish of the night.